I've never been one for shopping on Black Friday. It's mostly because there's almost nothing I want in the world enough to get up at those hours, deal with those crowds, or wait in those lines for. And usually the sales don't have anything to do with things I want or need anyway! I've always believed that buying something you don't want just because it's on sale isn't saving money, it's spending money you would have saved by not buying anything. 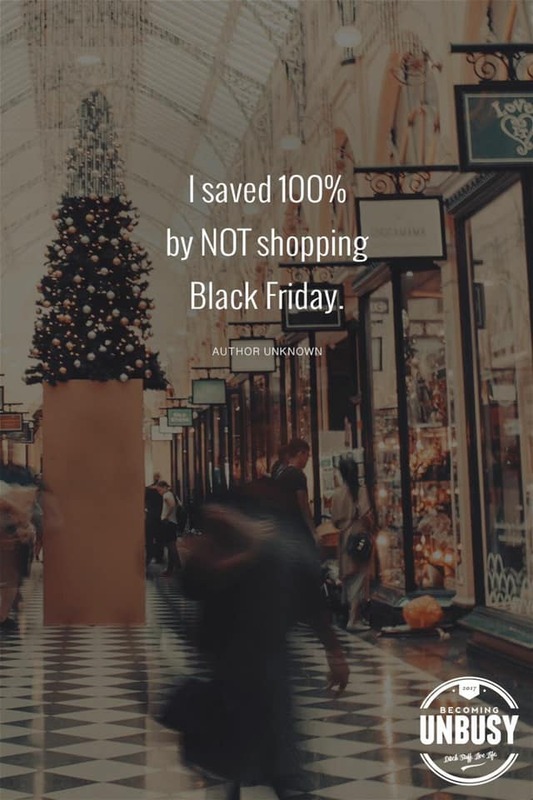 I was feeling a little bad about being broke on Black Friday, though, especially because this year there is a particular store I would have liked to check out during the sales. It turned out that their sales weren't that good this year, though, which made me feel a little better -- but then I saw this image circulating on Facebook, and that made me feel good, too. So, again, remember: You're not really saving anything when a sale convinces you to buy something you weren't going to originally. You're only saving money if you find a sale on something you were already going to get. So waiting until Black Friday to buy something you want at a discount might be saving money, but buying something on Black Friday just because it's on sale is not. In the end, I didn't do any shopping today whatsoever. What about you? Did you save 20 percent, 30 percent, 50 percent... or 100 percent?